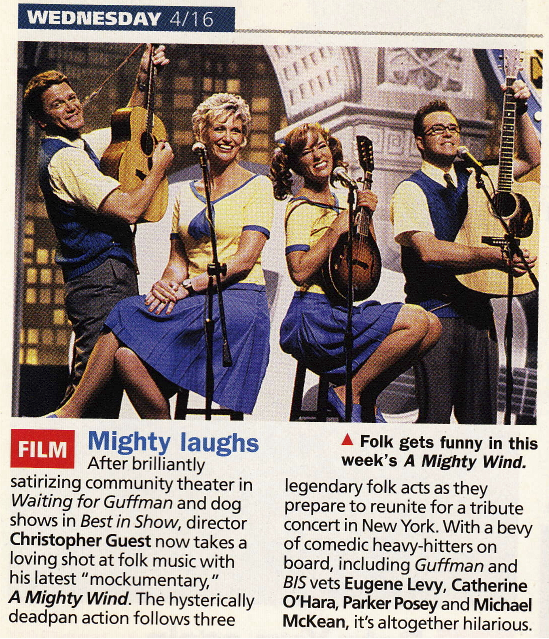 After brilliantly satirizing community theater in Waiting for Guffman and dog shows in Best in Show, director Christopher Guest now takes a loving shot at folk music with his latest “mockumentary,” A Mighty Wind. The hysterically deadpan action follows three legendary folk acts as they prepare to reunite for a tribute concert in New York City. With tempers erupting, nerves flaring and egos colliding, the journey back to the spotlight isn’t always harmonious. 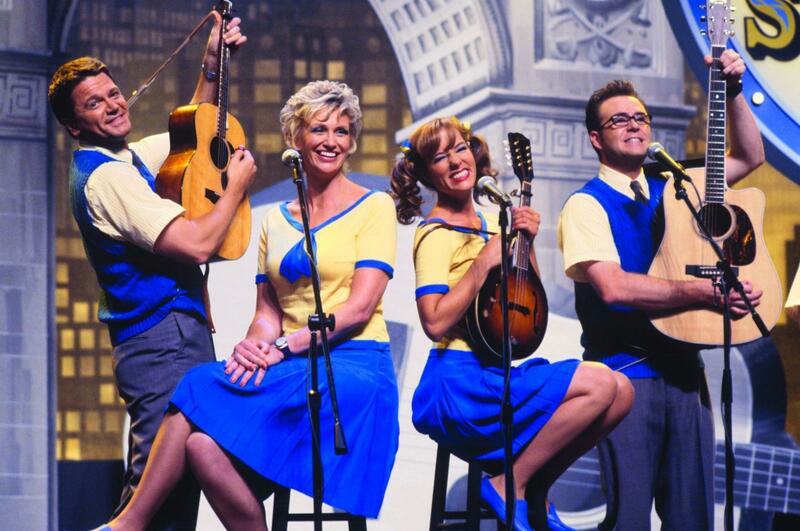 But with a bevy of comedic heavy-hitters on board, including Guffman and BIS veterans Eugene Levy, Catherine O’Hara, Parker Posey, Jennifer Coolidge and Michael McKean, it’s altogether hilarious.